Welcome to OKKA - Mullica Hill. We, along with our 3 sister schools, are proud to offer what we believe is the finest combination of Karate Curriculum, Physical Fitness, Character Development, and Educational Achievement focused programs in the area. At OKKA, we focus on the whole child. 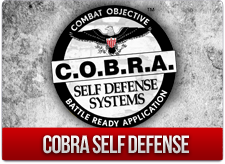 Our approach not only teaches karate and self-defense, it includes our S.T.A.R. Character and Life Skills Development Program, our Academic Achiever Program, and a Physical Fitness Achievement program as well. We believe in our program and its benefits for your child/ren. Chief Instructor Frances Coakley holds three NJ teaching certifications and has experience with children K-12. Fran has extensive special needs classroom experience as well. Her talents allow us to focus on the individual needs of our students while delivering curriculum in a group setting. Her primary focus is our Little Dragon program which prepares students for advancement to our junior program. At the basic level, our students are taught a comprehensive karate curriculum including open hand katas, kicks, and combinations which build on each other throughout the system. Students are encouraged to take 2 classes a week and we structure our curriculum into 8 week cycles. The 8 week cycle helps the student achieve progress on a timeline that is short enough to provide continuous feedback, while long enough to ensure near mastery of curriculum elements. Not every child will master every element of curriculum within 8 weeks, but will be able to demonstrate a level of proficiency. The overall curriculum is designed to represent elements in various cycles across the calendar year, reinforcing those elements repeatedly. Once students are comfortable with the structure and rhythm of the system, and have expressed the desire to obtain their black belt, they are invited into the Leadership program. The Leadership Program presents that next level of curriculum and introduces weapon katas and the application of the curriculum through structured, supervised sparring. We are a family owned and operated school. TJ, Frances, Robert, and Aidan are each 5th degree black belts and have been with OKKA for more than 16 years.